For every audiophile worth his money, audio pumped out by smartphones is never really good enough - save for maybe a few models that come with dedicated audio processing hardware. However, going for a dedicated high-resolution music player isn’t an easy task. For starters, they aren’t as popular. The category itself started off as something mainstream enough to inspire a multitude of cheap knock-offs. Currently, they occupy a space that is frequented by those who take their music playback seriously and will not settle for anything less than a dedicated device to enjoy their collections. 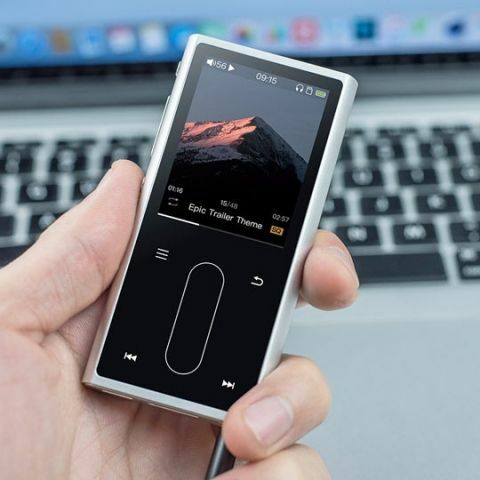 We’ve reviewed a few high-resolution digital audio players (DAPs) in the recent past, and FiiO has been a consistent name in the category. While the X5 and the M7 have been in their own leagues, this time we’re looking at a more affordable device in the form of the FiiO M3K. It follows FiiO’s minimalistic approach to design that has been the trend in recent times, albeit with a few compromises - none of which should be deal breakers for an entry-level audiophile, this device’s target customer. Let’s have a look at the device in detail. 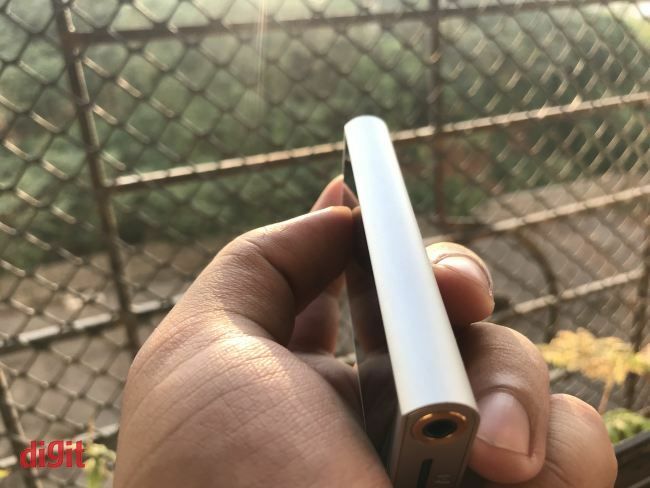 Sporting a flush unibody all-aluminium design that has almost become FiiO’s signature in its devices, the M3K goes for minimalism in its design. The overall device is quite small and lightweight at 90.8mm×44.2mm×12mm and weighing only 77.5 grams. The main chassis is one single piece of aluminium that wraps around the edges to reach the back. The black panel on the front leaves very tiny bezels on the side and top as well. 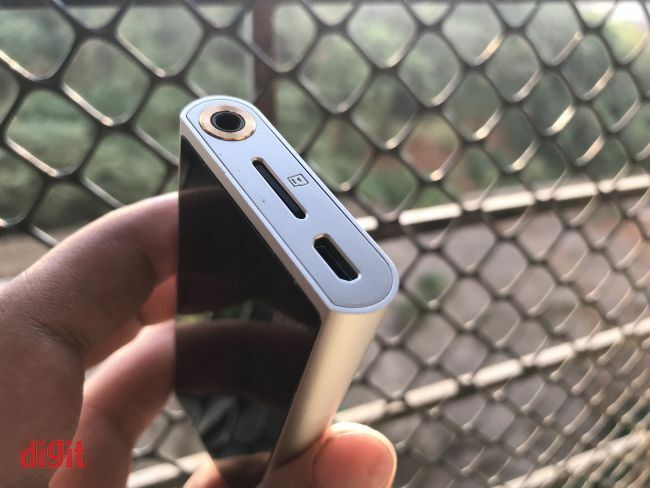 The top and bottom faces of the M3K consist of separate aluminium panels, with the top one having the microphone (that is nearly invisible) and the bottom one with the micro-USB charging and input slot, the micro-SD card slot and the 3.5mm headphone port. When turned off, the black panel appears like a single, featureless display. Turning the device on reveals the smaller 2-inch display at the top and a set of buttons below it. There are a capacitive touchpad and four capacitive buttons around it. The touchpad fulfils a number of functions which we will discuss later, as well as the four buttons. The fact that they are backlit goes a long way in saying that this unit has been designed thoughtfully. The overall feel is quite similar to the second gen FiiO X1. There are physical buttons too, on the top left. Starting from the top, the power button, the volume button and the play-pause button are nearly flush with the body – in appearance. The buttons do result in audible clicks when used, however, the actuation isn’t much. The unit we received for review also came with its own silicone sleeve. This, added with the aluminium build makes this a tough contender against physical damage. 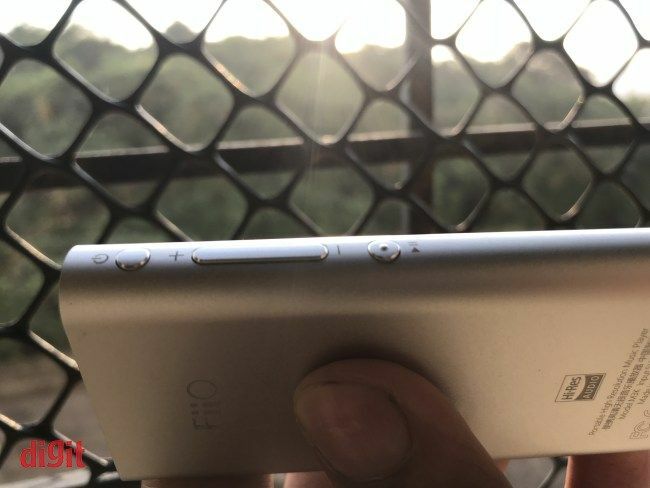 The black section, that comprises of the display and the capacitive buttons, registers a lot of fingerprints even after you wipe your hands clean before using the device. Also, the 3.5mm jack placement at the bottom makes it impossible to use a headphone and make the M3K stand upright on your desk at the same time. The way the M3K’s features have been designed, you’ll find yourself using its physical buttons less often. The capacitive buttons cover a large spectrum of use cases, except waking the device up - for that, you still have to use the power button. But once awake, for everything from unlocking the unit to navigating between tracks, artists, categories and more, you’ll find yourself using the touch buttons increasingly. The touch buttons themselves are highly responsive. The only possible complaint with them could be the lack of tactile feedback. On the other hand, that would chip away from the M3K’s week-long battery life. In the display department, the M3K packs a 2-inch 240x320 IPS TFT display, with a PPI of 200. To put that into perspective, this is the same PPI of a 22-inch 4K monitor. 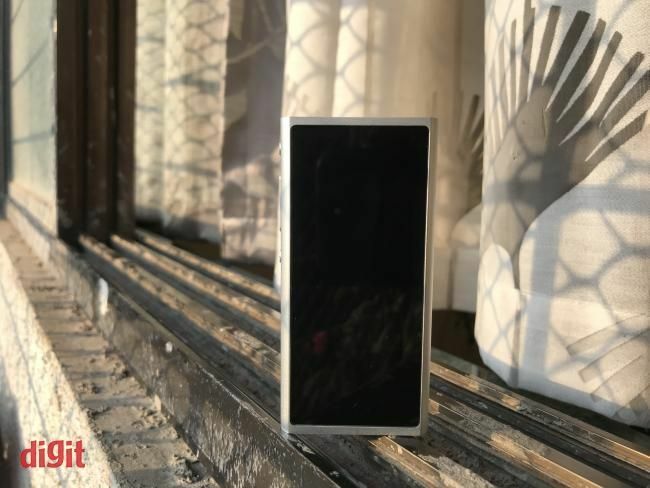 While its frame is reminiscent of the small, MP3 players of the past, the display bears no resemblance to that category of devices and offers crystal clear images and text that don’t leave much room to complain. The IPS panel offers good colours and tilting the display doesn’t result in negatives even at extreme angles. Yes, it might be a bit small for many users and might be more in line with today’s feature phones, but hey, you won’t get everything at this price point. On startup, you’ll see that the top bar of the device has been designed to resemble smartphones, with the time at the centre, volume on the left and connected devices along with battery level on the right. A simple main menu takes you through five options that are pretty self-explanatory - Browse Files, Category, Recording, Play Settings, System Settings. You can navigate through this, and any other, menu on the M3K using the touchpad as well as the next-previous buttons. Choosing a particular menu option requires tapping the touchpad or hitting the play-pause button on the left. These gestures come naturally soon after you begin using the M3K, especially due to its well-designed UI. Unlike the previous FiiO DAPs that we’ve tested, which ran on Android, the M3K runs on a modified version of Linux. People well versed with audio players will notice that there are a host of features missing from the M3K, namely Bluetooth, bass boost, gain control, hardware button lock, or lyric display. However, a couple of features set the M3K apart from quite a few other DAPs we’ve encountered at this price range. The first is the recording option, available from the main menu, which also requires the microSD card to be present. The second is the ability of the M3K to function as a USB DAC for macOS and Windows systems. We’ll get to the performance of both the features in the next section, but both of them work seamlessly. The third is the ability to work as a USB OTG device for phones that support it, allowing you to transfer files between the M3K and your smartphone. The microSD card support on the M3K goes up to 2TB, which is well beyond enough for most of our lossless audio collections. The playback settings let you toggle around with several EQ presets but doesn’t allow a custom EQ setting. The system software that runs on the M3K, especially the actual music player, is well designed and should be adequate for most users. Overall, the FiiO M3K sports a pretty impressive feature set at its price point. When it comes to high-res DACs, even for devices at an affordable price point, performance is the key to making or breaking the experience for a user. Even a perfect design cannot save a DAC if the overall performance in the audio, battery life and other departments is not up to the mark. We break down the performance review into the relevant sections below. With the FiiO M3K, FiiO has gone with the AK4376A DAC, which was a reputation for a low power draw which shows in the M3K’s battery life, which we’ve discussed later. The Ingenic X1000E SoC ensures smooth operations. The device boots up in seven seconds, ready to be used. We didn’t experience any lag whatsoever during our usage. While powerful enough, the DAP is mostly good enough for powering headphones under the 80ohms range, which makes it suitable for portable usage. 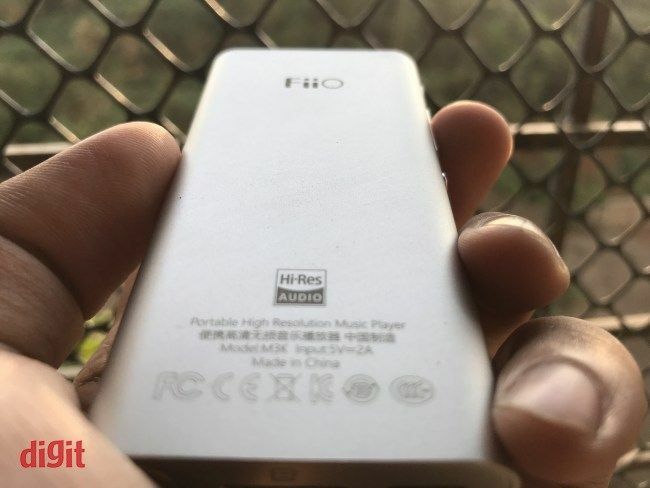 The FiiO M3K produces an expected flat response, with a slight lean towards brighter notes that is almost imperceptible. The sound-staging and imaging capabilities of the DAP is also impressive, creating a significantly neutral signature that doesn’t let much noise in and provides a quieter background to your high-resolution music. It drove our testing units, namely the UE 900 and the Beyerdynamic DT 240 Pro with equal ease across a range of tracks spread wide across genres. The sub-bass is highlighted quite nicely, but the treble and the mids leave a bit to be desired. With its limited power, even the slightest bias towards the brighter notes shows through in the audio output. On crowded tracks like Centuries by Fall Out Boy, the M3K does its best to bring out as much detail as possible but does fall short of other higher end DAPs that we’ve tried. The individual instruments in Choti Si Asha sound crystal clear without any sign of distortion or background noise at any volume level we could put the unit through. 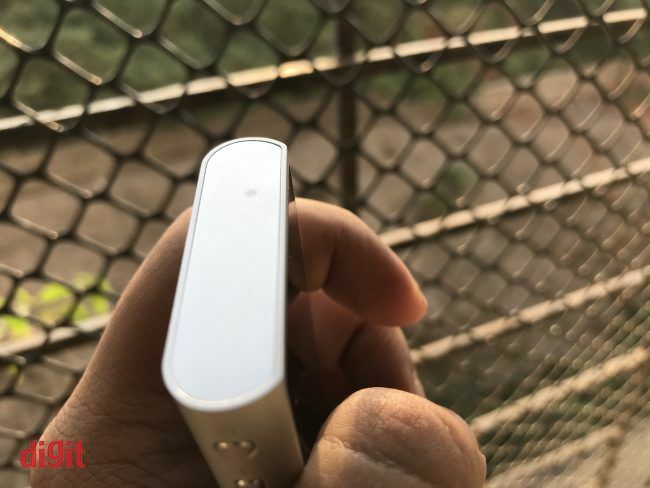 Overall, the M3K is a considerable performer at its close to INR 6K price point, and we couldn’t recommend a DAP with a better audio performance for budding audiophiles. The 1100 mAh battery on the FiiO M3K claims a weeklong battery life with 3.5 hours of music playback every day. Averaging around 2 hours of playback everyday IEMs of varying power requirements, the M3K lasted us a bit more than a week. In terms of continuous playback on a FiiO F3, that would lead to something around 24 to 26 hours of music. It takes the FiiO roughly 2.5 hours to fully charge its battery if you’re using a 5V 2A power output via a USB adapter. While the USB DAC functionality of the M3K worked seamlessly on both macOS and Windows platforms as advertised, the recording feature could be a bit better. The voice levels were a bit too low for our preference and you would have to strain hard to be able to hear someone speaking at a normal volume level. However, the feature itself is a welcome addition and quite handy to take quick notes while on the go. If only FiiO had designed the M3K to have a customisable button to set as a hotkey for this feature. For a beginner audiophile, purchase decisions are never easy. You know that you’re stepping into the big games, probably don’t have a significant budget, and the internet is filled with opinions that confuse you in all directions. It almost seems like the FiiO M3K has been designed to allay the fears of these very audiophiles. Offering quite a decent level of performance, it is quite light on the pocket and equally easy to use. You get a nice build, impressive battery life, and an admirably smooth enough system UI experience. For the asking price, the FiiO M3K is a no-brainer. Can anyone suggest best entry level DSLR camera? Want to buy an entry level DSLR camera.